As always, I am grateful to the community that exists within Twowritingteachers.wordpress.com. They motivate, teach and inspire ALL the time. 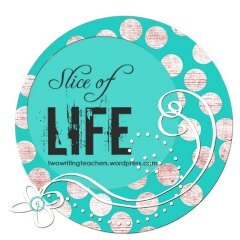 Please feel free to join the slicing community by posting or commenting. Everyone is welcome! Over the weekend, I enjoyed a basketball game that my sixth-grade daughter was playing in. Last year, she played on the travel basketball team since her sisters both had done so, and she wanted to be like them. She's not. Last year, she did not touch the ball too much, she never took a shot, and if she ever did get the ball, she would give it up as quickly as she could. I don't think that she improved much, although she was on the basketball court four days a week. Actually, she might not have improved at all. This year, we decided that she would play on the recreational team, a much less competitive, less intense basketball experience. On Saturday, she rotated in as the point guard. She set picks, called out plays, drove for the hoop several times, and took several shots, two of which went through the hoop. I have not gone to all of her games, so when I do, the improvement in her play is more apparent to me. And, more importantly, she is having fun. Reflecting on Cecily's basketball experience took me away from thinking about man-to-man or zone defense and into thinking about the zone of proximal development and its importance when we are trying to teach anything. Last year, Cecily was frustrated and disheartened playing on court of much stronger players. She did not pay much attention to the game when she was on or off the court, to the frustration of my husband and the great concern for me. This year, she is excited and trying hard, always focused on the game, and playing on a court that has a bunch of teammates and competitors who are at about her same level. When we ask students to do activities that are way too hard, rising up to the occasion might not happen, and actually, probably won't. The best learning happens when we are just at the edge of our comfort zone, that powerful zone of proximal development. 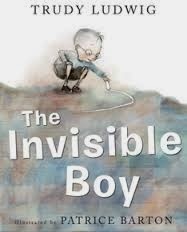 I was so excited to finally get my hands on a copy of The Invisible Boy by Trudy Ludwig today! My local bookstores have not had a copy of it so I was waiting patiently to read it after reading great reviews online. I was happy to see it on the "new books" shelf in our school library today and immediately read it. This book is about a young boy named Brian who feels invisible in school because his classmates ignore him and act like he isn't even a member of their classroom community. The illustrator, Patrice Barton, is brilliant and makes Brian shades of grey in all of the illustrations where he feels invisible, while his classmates are illustrated with colors. Once one of his classmates begins to acknowledge him, Brian's picture gets shades of colors. Each time he feels less invisible, the colors in his illustrations get brighter. Finally, at the end of the book, all of the illustrations of Brian are in color like his classmates. This is a very important story to read aloud and share with students because unfortunately there are students who feel invisible each day in our classrooms and school. I see this book as being a great conversation starter with students to discuss the importance of including everyone, being kind to all classmates, and the power of small acts of kindness. It is also a perfect book to read during morning meeting or closing circle to brainstorm ways we can take action to make sure no one feels invisible like Brian did. Thank you Trudy Ludwig and Patrice Barton for writing and illustrating this important story for children! 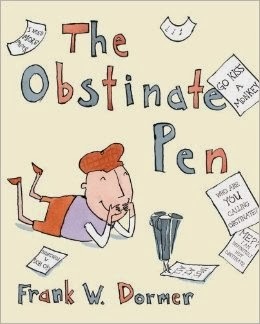 However, this morning, I was waiting to talk to our media specialist today and I picked up The Obstinate Pen by Frank W. Dormer. I can not resist sharing this book! I laughed out loud on the first page, and kept on laughing throughout the book. What a great read aloud for a primary classroom, what a great book for older students to share with younger book buddies, and what a great book for older students to read closely and look for clues about character motivation, contrasts, foreshadowing, and understatement! There are also great craft moves that could inspire students to use speech bubbles, subtle pictures, and precise vocabulary. I am passing this book around and sharing with my TMT #IMWAY community. I was coaching in a fourth-grade classroom this week and I was so glad that I had just attended Shanna Schwartz’s workshop on Writing About Reading with Primary Students. I have already written two other posts about my day at Teachers College, one about the guiding principles of workshop instruction that Shanna reviewed and another about ways to incorporate and integrate debate into classrooms. Another major element of her workshop involved helping teachers to know how to teach the difference between reasons and evidence. This part of the workshop was incredibly relevant as I worked with this fourth-grade teacher and her students. We are in the middle of our Personal Essay unit in most fourth-grade classrooms, so students are beginning to think about their boxes and bullets, establishing their reasons and their evidence. After the mini-lesson, where I taught about the difference between these two, one boy worked on his baseball essay. His thesis: “Baseball is a great sport.” Okay, a little overdone and simple, but I went along with it. His reasons: I can hit home runs, I can catch deep hits, and I can run to first base. "You have done such a great job of picturing yourself playing baseball and really thinking about the parts that are important to you," I told him. Conferences should always include an authentic compliment and I find that this practice is especially important as a visiting teacher. He hadn't done a whole lot of writing, so it was easy for me to figure out that I wanted to get him to understand that what he had written were examples and not reasons, a concept that is challenging to many students as they study opinion writing. Sometimes figuring out my highest leverage teaching move for an individual student is tricky when I'm on the fly, especially if they have a lot of writing that they are presenting to me. I was hoping that he would see that his reasons were actually evidence. As soon as I asked him what all three had in common, he smiled. “You feel good about yourself,” he said. Exactly! I helped him rework his thinking: “Baseball is a great sport, not because you hit home runs, but rather, because you feel good about yourself. For example, one time, I hit a home run...” Together, we made a big green post it that went on top of the other three, uniting them with the reason. A reason should answer the question WHY. Last year, I heard someone say that “because is the most incorrectly used word in our language.” In my student’s case, hitting a home run does not make baseball a great sport. Baseball is a great sport because it offers opportunities to feel good about yourself. Evidence should answer the questions what or when. For example or one time or I remember when are all terrific lead-ins for evidence. A reason is a pattern that happens over and over again. It’s not just about the time that you caught the deep ball. The pattern is the feeling that you get whenever you make a good play. In the fifth-grade Research-Based Essay unit in the new Writing Units of Study, an argument is compared to a house of cards and I love this analogy. You have to start with a claim, support it with reasons, and substantiate those reasons with evidence, examples, and proof. At any point within that process, the structure has the potential to collapse so keep your claim clear, your reasons important, and your evidence relevant! I have written about TC workshops several times on this blog. I do this not only because these are some of the most popular posts, but also because writing about them makes me reflect and revisit the learning from these days. These workshops provide an incredible amount of information coming at me fast and furious. It’s an important time for me to remember Alan Wright’s wise words that writers live life twice. Shanna Schwartz presented a workshop on writing about reading that was specifically geared toward second-grade teachers, but the information was relevant to many other grades. I have already written one post about the messages she reminded us regarding overall literacy here. This second post is more about the details of opinion writing and how it lives in classrooms. I will write one more post about the differences between reasons and evidence. We should all make sure that we know the difference between opinion and argument. My favorite color is an opinion. It is what it is and it is a fact about me. When we talk and think about teaching opinion and argument, it’s important to remain aware of whether an opinion is debate-worthy. Sometimes, we can establish reasons and evidence for our opinions, but they might not move into the debate-worthy column. Argument is important to teach for several reasons that go well beyond the fact that it is an important component of the Common Core State Standards. I loved how Shanna talked about argument writing being inherently supportive of the building children’s grit and growth mindsets. How important for children to recognize that they can have an opinion and if they support that opinion with enough convincing evidence, then they may convince others of their idea and create movement around them! dogs vs. cats--which is a better pet? coffee vs. tea--which is a better drink? suburbs vs. city--where is a better place to live? McDonald’s vs. Subway--which is the better place to eat? The list goes on, as it contains anything worthy of different opinions--TV shows, video games, grocery stores. Find excitement in the mundane by creating opinions and debates over them. Nudge them to say something a little controversial, like “coffee is for tough people and tea is for wimps...” Push for statements that could get people into an argument. Take ANY opportunity that you can to build students’ oral language because this will develop their skill base for writing. Develop compelling statements and constantly look for ways to incorporate reasons and examples throughout the day. For me, perhaps the most important part of the day was when Shanna talked about the difference between reasons and examples for students. I am crafting a separate post for this that I will put up in the next couple of days. The workshops at Teachers College always challenge my thinking and provide incredible amounts of information. Thank you, Shanna, for a great day. As an additional note to this post which I wrote a few days ago, I must give a shout out to Maggie Beattie Roberts who hosted an incredible twitter chat last night about working debate into classrooms. You can read the archives because she storified it by clicking here. We were away this weekend and had a three hour drive last night in order to get home. Over the weekend, some of the conversations were about favorite Tedtalks. One of the current favorites in Amy Cuddy's 21 minute talk on power poses and their ability to create confidence. I'm guessing that some of you will have already watched this talk because almost 10 MILLION people have already! This talk is funny, engaging, and you will love Amy Cuddy, especially when she shares some of the challenges she has faced in life. So today, I spent the suggested two minutes in a power pose with my daughters. We giggled as we spent our two minutes with our arms up in victory pose. I'll let you know if I feel my confidence hormones begin to kick in. Seriously, this talk would be a great one to share with students for many reasons--if you have time, tune in and join the millions of people out there who may be boosting their confidence with a very simple strategy. I was so excited to see that Cynthia Lord had a new book coming out! Half a Chance will be available everywhere on February 25th, but the hardcover is now available online at Scholastic Reading Club! I took advantage of our day off today and curled up with a digital ARC of this book that I had. After reading it, I immediately ordered a copy from Scholastic and am excited to book talk it to my students tomorrow. In Half a Chance, Lucy is the main character. She is an only child and moves a lot because her father is a professional photographer and gets antsy living in the same area for a period of time. He also travels a lot for his job, taking photos around the country. Lucy also loves taking photos with her camera and is trying to have a connection with her father at the same time. Their latest move is to New Hampshire to a lake house, where she meets some new friends that will be her next door neighbors for the summer. During this summer, she gains new friendships, enters a photo contest, and goes on some adventures. This is a touching story about family and friendships - this is a must read! Enjoy! and recently presented them to teachers. I saw it on our principal's shelf and read it on the spot. I cried. Snowflakes Fall is a picture book that she wrote in honor of the people who died in Sandy Hook last year. Her writing combines with Stephen Kellogg's illustration to create a simple, but oh so powerful book about celebrating life and finding hope. Definitely be sure to read this one on your own before reading out loud to a class full of children. I'm not sure that I will ever be able to make it through the text without my throat shutting down. I did have some less emotional reading as well since I had some time to spend at our local library while I was waiting for one of my daughters. Pebble Plus books are fabulous nonfiction mentors for primary writers. Snow by Erin Edison was on the shelf and is full of text features and craft moves that will help young writers develop their informational repertoire. If you come across any of the Pebble Plus books, I recommend them! Penny and Her Marble by Kevin Henkes is sure to inspire conversations about guilt and conscience! I love the simplicity of the story combined with the complexity of the emotions. For anyone who is trying to inspire young readers and writers to say and write more about a text, this book will provide many opportunities. I would love to hear a classroom of second-graders discuss Penny's moral dilemma! I know that I read The Button Box by Margarette Reid several years ago, because it definitely was familiar. I read it again at the library with the lens of a writing teacher. What a powerful mentor to teach students how many stories even a box of buttons contains! There are many aspects that I love about my job as our district's Writing and Social Studies Coordinator, but one of my favorites is that I get to go to Teachers College at Columbia University a few times a year for day-long workshops on all different aspects of literacy. If you ever have a chance to attend a session, take it! In the meantime, a quick reminder: the Teachers College Reunion is on March 22. It is free and open to anyone with an interest in reading and writing. You are guaranteed to leave this day inspired and full of ideas for teaching! The most recent workshop that I attended was an all day presentation from Shanna Schwartz. Although it was specifically geared toward second-grade teachers, I kept a running list of the ideas and suggestions that ring true in every unit across multiple grades. 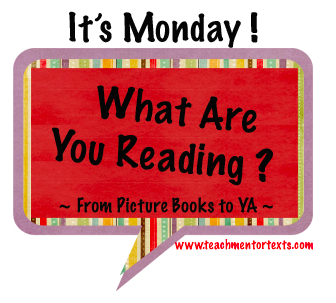 During read-alouds, do a lot of asking what the author is doing to make us feel a certain way. Encourage students to do this whenever possible. Say what the word is. Give an analogy and a sentence. Being able to use more words for characters and traits helps us understand characters better. Children tend to use approximations of words and we, as teachers, want to move kids toward accuracy to help them understand their characters more deeply. Read students many examples of what you are asking them to write. You can’t read them enough. Why? This will help them move away from formulaic writing and keep their own voices ringing loud and true in their writing. You want to establish the understanding that there are more than one way to write a story or an information book or an argument. Whatever you can do to honor and develop students’ voices in their writing, do it! Drawing works really well to get some students to begin to write at higher grade levels, as well as primary ones. Drawing is not just limited to narrative writing, but also works for other genres, as well. Keep a suggestion box in the room for students to put debate ideas into and visit the suggestions often. Make debate part of your daily routine. Understand the difference between reasons and examples. If it answers the question of why, it’s a reason but if it answers the questions of what or when, it’s an example. Use the phrase “Consider...” a lot in your classroom and you will find that students will be readier to write opinions and arguments. More to come about opinion writing for young children, as that was the focus of the workshop. However, Shanna gave too many important reminders about overall literacy to not share those, as well. Off to cheer for the Patriots! Workshop on Close Reading with Kylene Beers! If you ever have the chance of hearing Kylene Beers speak, jump on it! She is such a dynamic and engaging speaker with a great sense of humor too! I had the privilege of attending her workshop last week at TCRWP. The title of her workshop was, "It's Rigor, not Rigor Mortis: Strategies that Create Attentive, Close Readers Who Actually Want to Read." If you have not read her recent professional book, Notice and Note that she co-wrote with Robert Probst, then add it to the top of your TBR pile! Click here to read my post about this professional book. She began the workshop with having us turn and talk to define the word "rigor" and explained how it can be easily misunderstood. She said, "Rigor resides in the energy and attention given to the text, not in the text itself. Also that rigor without relevance is just hard!" During the workshop, she shared a few different strategies that we can use immediately in our classrooms with students. The first strategy that I loved was called, "Possible Sentences." For this strategy she said to have students number 1-5 on their papers and tell them that they are to write five possible sentences using the words that you listed on the board/Smartboard that were taken from a nonfiction article. Tell them they may use up to three sets of words in each sentence, but no more. Also that they may add additional words so they can write complete sentences that make sense. Have students work in groups to do this, but make sure you have each student write their own five sentences instead of having one student be the writer for the group. This will ensure that each student is engaged in this activity and trying out the strategy instead of being a passive learner and only observing. Kylene Beers had us try this strategy out during the workshop and displayed the words on the screen below for us to use when writing our 5 sentences. The words are from the article Hard at Work from Times for Kids in 2003. Click on the link below to access the entire article. While students are writing their 5 sentences using the displayed sets of words, create a 2 column chart that can be displayed for students to see. Title the left hand column "Sentences" and the right hand column "Questions." Have students volunteer to share their sentences and as they share them, type them into the left column of the chart. This is still all happening before students read the article. Then have students turn and talk to share questions they have based on the information in the sentences they wrote that are displayed now on the chart. Go one sentence at a time and have students generate questions they have from that one sentence. 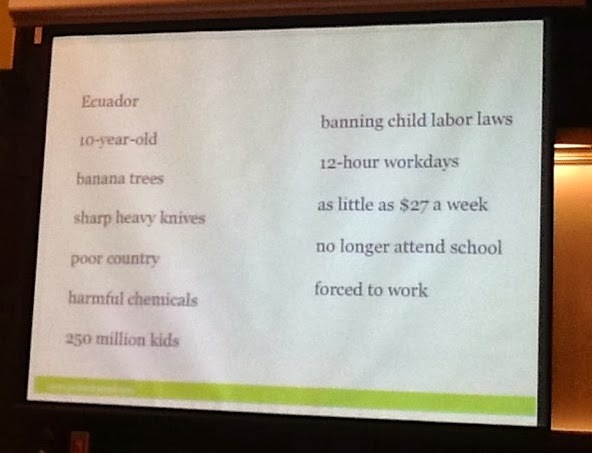 Ten year olds in the poor country of Ecuador are being forced to work. Who is forcing them to work? Is it only for 10 year olds? Do boys and girls do the same work? How are the kids chosen? Ten year old children work 12 hour workdays earning as little as $27 per week. When do they go to school? Do they go to school? How do the parents feel about this? With heavy knives they climb banana trees for as little as $27 per week and are exposed to harmful chemicals. Were they trained for this work? Why type of harmful chemicals? What are the effects of the harmful chemicals? Who are the bananas for? After generating and sharing questions, give students the article to read. Then have them write 1-5 on their paper below the sentences they wrote. If the information in their sentence is correct, they write no change needed. If not, then they need to rewrite the sentence to make it accurate. When kids have to go back into the text to see if their information is accurate and/or to rewrite their sentences, that is close reading. This is a strategy you can use with any article and Kylene Beers said that once students write their sentences and generate questions about the information, they are begging to read the article because they are interested in the topic and want to find out what it is really about. She said that it completely engages students while also teaching students to read closely. She told us that when using this strategy with articles, we need to make sure we use tier 1 words (everyday language) from the article to make sure students are familiar with the meaning of the words. If they aren't familiar with the words, this strategy will not be beneficial for them. my students! If you use this strategy in your classroom or try it out, please share! Finding the Heart in Nonfiction--Thank You, Georgia Heard! Over the summer, I revised our third-grade information writing unit with one of the teachers in the district. When we shared the revisions with the rest of the teachers, many didn't feel that the unit was drastically different from the days of pre-Common Core. For the most part, they were right. We increased the emphasis on the writing in the unit--tried to steer teachers and students away from the obsession with text features. I'm sure that some of you have taught students who would prefer to write glossaries, tables of contents or draw pictures with captions at all levels of magnifications than write a paragraph. Between the time of our summer revisions and the presentation of our work to the rest of the teachers, I read Georgia Heard's book, Finding the Heart of Nonfiction. At one point during the meeting, I allowed that I might have written some of the teaching points a little differently if I had read that book before our revision work. One of the teachers wanted to know why. On the evaluation sheets, several of the teachers asked for copies of the book, so I bought each school a copy and hand-delivered it to the teachers who had asked for it. I still owe this blog a post about Finding the Heart of Nonfiction. Suffice it for now to say that if you want your students to have voice in their nonfiction writing, to string together beautiful language, to recognize what human beings hold on to and remember when they read, then read this book. While these ideas sound lofty, keep reading and hear what happened in a third-grade classroom. Across the district, the third-grade information unit is winding down, so I have been asking teachers how it went. Most of what I have seen and heard has been positive--the increase in writing happened and students learned that they could incorporate information from books and other resources. However, what I saw yesterday blew me away. Blew. Me. Away. I saw one of the more experienced third-grade teachers in the hallway and when I asked her how the unit went, she said it was great. "Was it different than in previous years?" I asked. "Oh, yes," she said. When I probed that response, she shared that the book I had given them changed her teaching. She asked me if I had a minute and she would show me some of her student's writing. I always have time for student writing. Out in a meadow a dog plays, bounding through the tall grass. The wind blows his fur. A sound so cheerful we all have heard before:woof! Then somewhere far away his voice echoes, to remain forever in our hearts. All of us love this very special kind of dog: this is the wonderful life of Golden Retrievers. As we all can see, Golden Retrievers are very beautiful pets. This world would be plain and dull without the voice of the Golden Retriever. Woof! The fact that the Common Core State Standards does not include expectations for voice in writing concerns me. I would never, ever want to lose the voice of this young writer, because it is the woof that I will remember, and the woof that will guarantee that I will read anything else she writes. My students and I absolutely love the Ascendence Trilogy by Jennifer Nielsen and have been counting the days to the release of the third book, The Shadow Throne, that is released on February 25th! 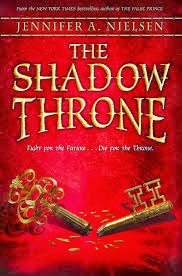 I was extremely fortunate to get a digital ARC of The Shadow Throne last week so I devoured it this weekend. I shared the exciting news with my students last week and they were thrilled! Needless to say I am lending out my iPad during reading workshop so students can read it and there is a list waiting to read it! So I am back to taking conferring notes the "old school way" temporarily with paper and pen instead of using my Confer app on iPad, but it is so worth it seeing the engagement and excitement in the students' eyes when they are reading this long awaited book! This third book was bitter sweet to read because although I was excited to find out how the trilogy ended, I was so sad that it is the end of the trilogy and time to say good-bye to the characters. This book will not disappoint and it is full of the suspense, surprises, and action that filled the first two books in the trilogy: The False Prince and The Runaway King. If you have read the first two books, mark February 25th on your calendar so you can read the third right when it comes out! If you haven't read the first two books in this trilogy yet, definitely put the False Prince on the top of your TBR - you will be so glad you did! I actually read several books this week--my daughter had a meeting at the library and I sat and read while I waited for her. However, I am not going to share any of those books because there was one that I loved way too much to water it down. 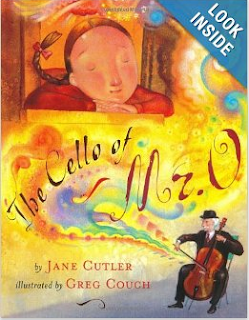 Several months ago, The Cello of Mr. O. by Jane Cutler was mentioned in a post--I'm so sorry that I can't remember whose! I immediately put it into my Amazon cart, but did not buy it because it is rare, out of print, and expensive. When I saw it in a bookshelf of one of the classrooms I visited this week, I asked to borrow it. What an incredible book! The story focuses on a girl who is living in a war zone. Because of the date of publication, we can assume that she lives in Sarajevo, but the hardships that she faces could be in many places in today's world. Reading this book reminds us of the impact of bombs and strikes on children and civilians. We see pictures in the papers and on the news, but I'm not sure that many of us think beyond the initial strike that is featured in the story. What about their food, their water, their plumbing, their school, their entertainment, their daily fear? "I am angry almost all the time," the narrator relays. There incredible messages and themes woven throughout this book. The challenges of life in nations at war are integrated into a beautiful story, reminding us all of what all humans value and cherish with powerful language and incredible craft. The cello is a powerful symbol of peace: "People all over the world had to cooperate to make the cello of Mr. O," the narrator's father explained to her when he told her where all of the parts had come from. *** Spoiler alert*** When the cello is destroyed, the power of music is emphasized, as Mr. O. finds away to continue to provide music to the people. As I write this post and revisit the text, I am overwhelmed at how much there is to talk about as so many strong emotions weave their way in and out of the pages--anger, guilt, love, fear, respect... And then there are the human characteristics that we all value that appear, as well--loyalty, resilience, hope, courage, resourcefulness, empathy, morality...they all live in this powerful picture book. If you are fortunate enough to own a copy of The Cello of Mr. O., treasure it and share it. If you can find one, read it--you won't be disappointed. Last week, I had the privilege of going to a full day workshop at TCRWP to hear Kylene Beers speak about close reading and rigor! Stay tuned to hear about that this week. Prior to Kylene Beers speaking, Mary Ehrenworth shared strategies for argument based read alouds in the classroom. In our district, we are currently in our Short Text/Literary Essay unit and our next unit is Nonfiction Research/Research Based Argument Essay so I was excited to hear what her focus was for her time with us. Below are some of my notes and take-aways about argument based read alouds in the classroom. During an argument based read aloud, you are reading aloud the text like you normally would without the students having the text in front of them and having the students stop and jot/turn and talk about the text. However, in this type of read aloud, you have rounds of conversation that focus on a particular type of skill. For example the focus for the rounds of conversation may focus on character attributes, theme, or author's craft. Also, the partnership has decided who will be partner 1 and who will be partner 2 because each partner will have a specific focus during each round and will need to collect evidence to support their claim for their argument. Prior to reading aloud, you will need to plan to figure out which parts of the text to stop at and what the focus will be for each partner. You also will need to tell the students what their focus is so they can take notes on text evidence that supports their position. When it is their turn to share their position with their partner, they will state their claim first and then their collected evidence along with their evaluation of the evidence. For example, they should rank their evidence from most important to least important or vice versa, use quotes from the text instead of only plot, and use thinking stems to evaluate the evidence. Mary Ehrenworth had us try this out as partners as she read aloud Stray by Cynthia Rylant from Every Living Thing. It was so powerful and beneficial to try this out as the students to see what their role is like in this type of read aloud and to get a clear visual of how this will look in our classroom with students. She had us decide who was going to be partner A and partner B and told us that Partner A will work to prove that the main character is weak and partner B will try to prove she is strong. As she read aloud the beginning of the story, we each took notes to support our position about the type of person the character is in the story. She paused and gave us a minute to rehearse our claim and evidence in our minds before sharing with partner. Then she had partner A share first and then had partner B share. Mary said that instead of just allowing students time to rehearse their argument in their mind before the conversation, partner A can find a partner A to compare evidence and rehearse as well a partner B finding a partner B to do this work. We continued this work through a 2nd round that had a thematic focus. Partner A had to collect evidence for how the family struggles with communication and partner B focused on how poverty is an issue for the family. We went through the same process of collecting evidence while she read aloud and then had our conversations with partner to support our claims. The 3rd round focused on author's craft and partner A collected evidence to support how weather is used in important ways and partner B focused on how the author uses the dog as a symbol in the story. I am excited to try this out with my 5th graders this week and am already planning other stories to use besides Stray by Cynthia Rylant. This is a strategy we can use in our classrooms with any type of fiction or nonfiction text as long as we plan where to stop and what the positions will be for each partner. This is an engaging way to have students practice conversation skills, collect important and relevant text evidence, and strengthen their argument skills. It also teaches students about perspective and how we can read the same text, but see characters, objects, themes, etc. in more than one way.